Get PEACE OF MIND and SAVE MONEY with the STAR CLUB!!! frustrating plumbing problems for just pennies a day! Chris Larichiuta’s STAR CLUB is an exclusive plumbing maintenance service available only to preferred Baltimore area Five Star Plumbing Services customers. If you really love your home and want to protect it from unexpected plumbing breakdowns and costly water damage, the STAR CLUB is the way to go. Huge 25% Discount on Repairs! This discount is offered ONLY to STAR CLUB members. This alone could save you hundreds! And, even with this HUGE discount, you’re still protected with our 5 Year Warranty and our 100% Customer Satisfaction Guarantee! We periodically offer special discounts to our STAR CLUB members that are SO good we couldn’t possible offer them to everyone. When you are a member of the STAR CLUB, you can be assured that your needs come first! You’ll never have to wait more than 2 hours when you need plumbing service. You get a free pass to the front of the line! With the STAR CLUB discount plumbing maintenance program you can enjoy Peace of Mind knowing your biggest investment – your home – is protected from the headaches and hassles of leaky faucets and pipes, clogged toilets, broken water lines and water heater floods. And if a problem does occur – you go INSTANTLY to the top of our service list. Plus, the STAR CLUB actually makes you money if you consider that a dollar saved is a dollar earned! And, if you move within our service area, you can transfer your membership to your new home or offer it as an incentive to the new owner! All THIS for FREE for 30 months! Your monthly membership fee for the first 30 months is credited toward ANY future service or product you purchase! That’s 100% of your membership dues you’ve paid up to $238.50!!! Subscribe and Start Saving TODAY! Hurry and SUBSCRIBE TODAY for just $7.95/month while I still have room for new members. I can’t offer this to everyone. 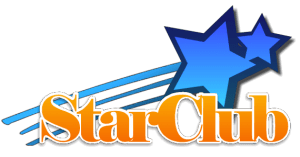 Once you are in, you are guaranteed your Star Club discount plumbing maintenance membership for as long as you stay subscribed. You may cancel at any time. Just click the Subscribe button below!